Is Zero Waste Beauty The Next Big Trend in Skincare? Home Is Zero Waste Beauty The Next Big Trend? This article on zero waste beauty was first published in the HuffPost by Formula Botanica’s Director Lorraine Dallmeier. We’ve republished it here for you to learn more about this important topic. I moderate discussions in groups of thousands of skincare entrepreneurs where the battle lines are frequently drawn between glass vs plastic beauty packaging. The discussion often gets heated as indie beauty brands weigh up the pros and cons of their packaging choices. Both sides of the debate make very good points – glass weighs a lot to ship to the customer and no one wants to drop a glass bottle of shampoo in the shower, which makes plastic an understandable choice at times. Conversely, most skincare brands also don’t want to add their waste to the 300 million tonnes of plastic consumed annually around the world. 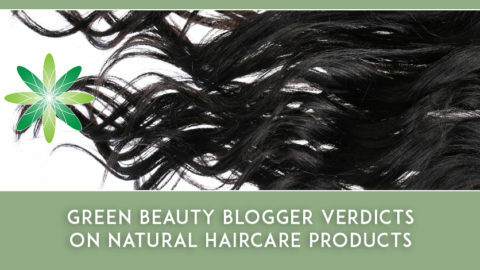 The green and organic beauty sector is booming. 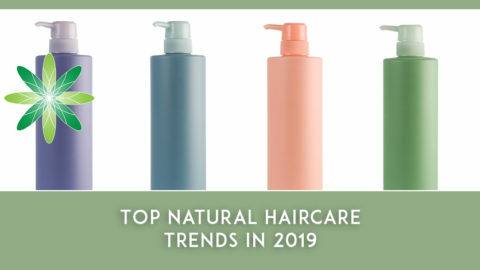 Estimated to be worth $22bn by 2024, projected growth in the organic beauty industry shows that there has never been a better time to be an organic skincare entrepreneur. Women around the world are flocking to the clean beauty sector to follow in the footsteps of Anita Roddick and Liz Earle by creating lotions, scrubs, masks, shampoos and cleansers using natural ingredients. 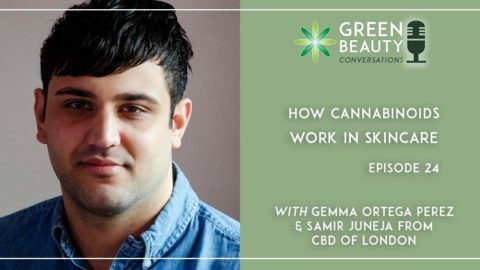 But as the green beauty sector finds it feet, discerning skincare entrepreneurs are questioning why more isn’t being done to make the industry sustainable. 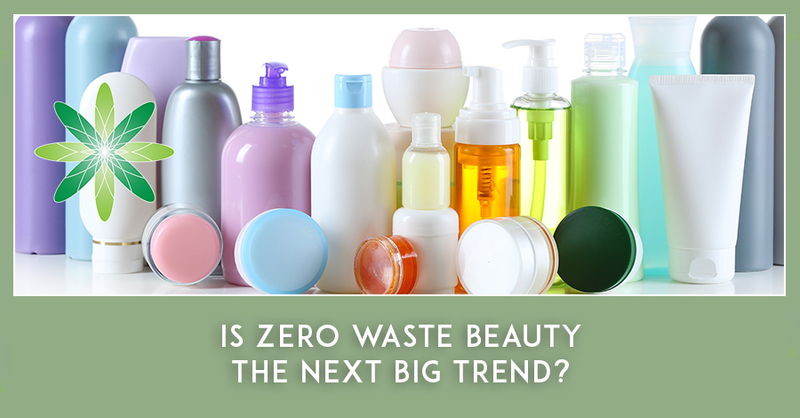 Cue the arrival of the next big trend in skincare: zero waste beauty. 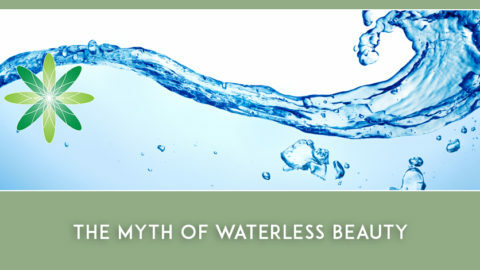 What is Zero Waste Beauty? Zero waste means that we aim to send nothing to a landfill. This lofty goal may sound impossible to achieve, but is worth serious consideration when you realise that the average person in the United States throws away their body weight in rubbish every month. Experts predict that global solid waste generation will exceed 11 million tonnes per day by 2100. The drive towards zero waste beauty is a necessary requirement to help prevent pollution. How does it work in skincare? Simple – we must start by reducing the products we use, reusing as much as we can, sending little to be recycled and composting wherever possible. If you want to buy from a zero waste beauty brand, what should you be looking for? Let’s go through the life cycle of a beauty product and unpick its journey from cradle to grave so that we can build up a clearer picture. The challenge of achieving zero waste starts right at the beginning, as soon as the ingredients for our skincare formulations are plucked, harvested, pressed or even synthesised in the lab. Any responsible zero waste beauty brand should know exactly where their skincare ingredients originate and how waste is managed throughout this process. It’s not enough for a brand to buy ingredients from a retailer and hope for the best, they’ll need to understand their supply chain and know exactly how the ingredients for their formulations were farmed or produced. They should also proudly give you this information on their website. Next, let’s look at the formulation itself. 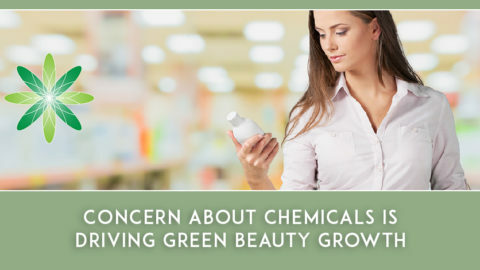 Organic skincare products have a shorter shelf life so can spoil quicker than mainstream synthetic formulations. If your formulations aren’t used up in time, you have to throw them away or risk using contaminated creams and lotions. A zero waste formulator should consider how much lotion will be used by their customer, how long it will take to use it up and what type of packaging will be used. They should then create smaller lotions, scrubs and cleansers which you can use up in a reasonable time before they go bad. That way when we buy our bottle of face cream, it is more likely that we will use all of it during its shelf life. We’ve all bought skincare products before that come in elaborate tubes, bottles and boxes. Let’s face it: the packaging is part of the experience of buying lovely creams and lotions. Would it be possible to do away with all beauty packaging? In other words, beauty brands might need to radically rethink their formulation andpackaging choices if they want to move into zero waste beauty. 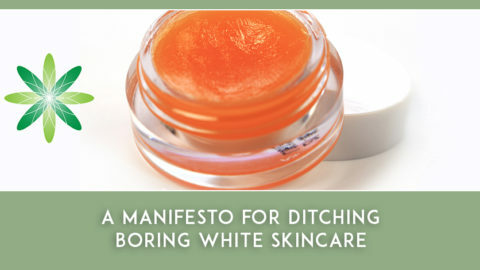 As consumers, we also need to rethink our skincare choices to accommodate less packaging. Instead of buying a lotion, would you instead be prepared to buy a solid lotion bar which doesn’t need a bottle or jar? A zero waste beauty brand should also challenge each and every one of their packaging choices to see if they can think smarter. Can packaging be recycled? Has it already been recycled? Can they use a returns system, perhaps as part of a customer reward scheme? 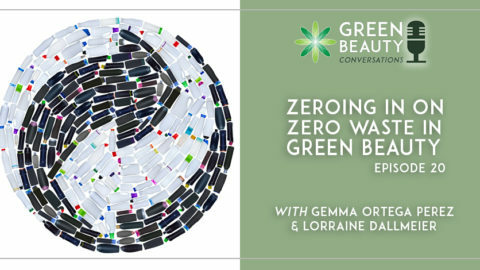 The concept of zero waste goes way beyond skincare packaging – it’s part of a wider philosophy on how a skincare brand manages the environmental footprint of its business. A zero waste beauty brand should run their entire operation to zero waste principles – that means their formulation lab, their manufacturing processes, their administration, their shipping warehouses, everything. If you want to buy from a truly zero waste beauty brand, look at the credentials on their website: do they talk about their carbon footprint, their environmental impact and how they manage their company’s waste management processes? In my opinion, the only way beauty brands are going to push themselves to zero waste is by you and I challenging them to think about their environmental footprint. So next time you pick up an unrecyclable container of face cream, make sure you drop the brand a line to ask them how to responsibly dispose of it. Do you think it’s possible for a skincare brand to achieve zero waste? Leave us a comment below and tell us your views. This article first appeared written by Formula Botanica’s Director Lorraine Dallmeier on HuffPost on September 5, 2017 as “Is Zero Waste Beauty The Next Big Trend?“. Follow Lorraine on Twitter or Instagram.